I know, I know - I hate seeing Christmas articles before Halloween is over too. 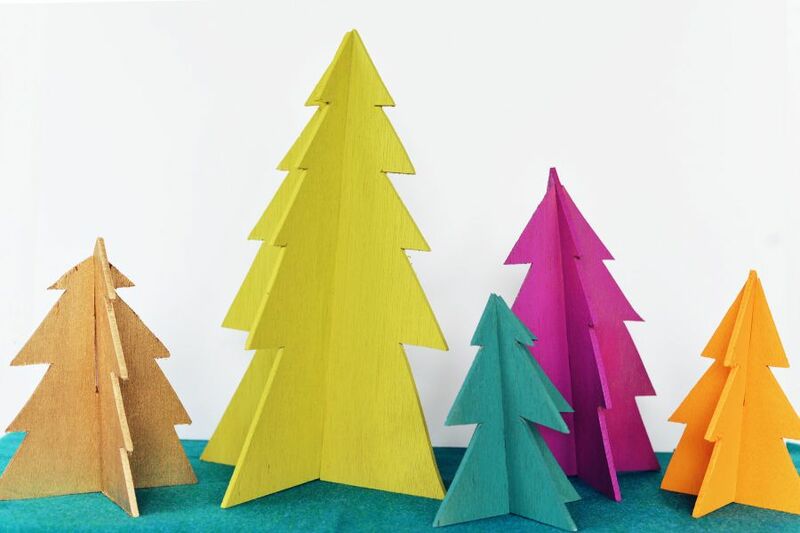 But when it comes to DIY wood Christmas crafts, you just might need the extra time. Who doesn't get the itch to buy a new Christmas decoration or two (or ten) when the holiday season rolls around? It's a festive time, we want to celebrate. And to celebrate means to decorate! The problem is, so many of the decorations we buy at the store are made of plastic and shipped thousands of miles to reach us. Our Christmas cheer can be a bit, well, environmentally non-cheery. This year, why not borrow some tools from the St. Albert Tool Library and take a stab at making your own Christmas decorations out of wood? The projects we link to below can be cut out with a bandsaw which, of course, we can lend to you. If you have done any DIY work around the house this summer, you might have enough scrap wood sitting in your basement or garage for materials. (You can also try the scrap or bargain bin at your local building supply store). If you are a quick worker and feeling entrepreneurial, consider making enough of these gorgeous rustic Christmas decorations to sell at a local Christmas market or craft fair. You can make your environmentally-friendly creations available to others in our community and pick up a few extra dollars at the same time! If you don’t care for our Christmas craft ideas, just do a Google search of “DIY bandsaw decorations” to bring up tons of ideas and inspiration on Pinterest, Youtube, Etsy, and more. ahead of time to ensure someone can meet you. Newer PostJoin the Tool Library today - two memberships for the price of one!